A friend I’d met on my trip to La Manga for Joanna Hall retreat came to visit. We then met up with another friend, Maria, for a wonderful Italian meal at a Balham restaurant. 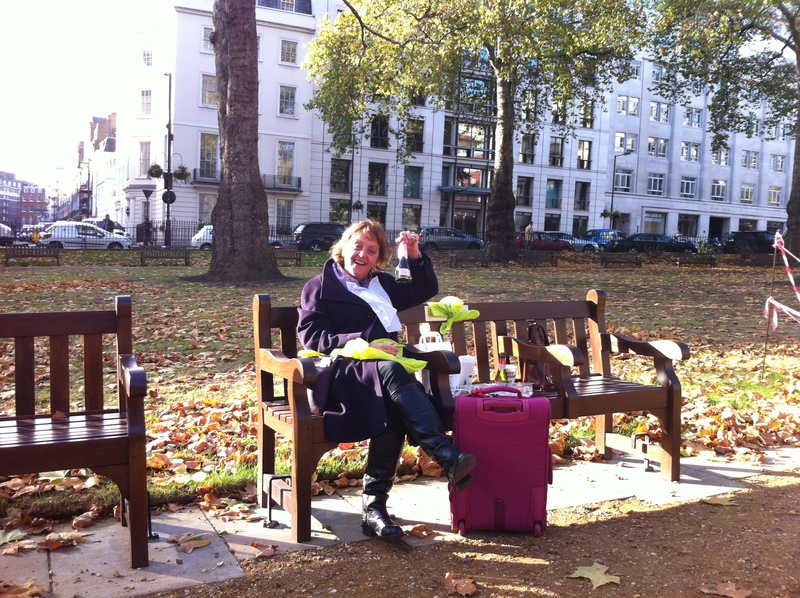 This morning, Elizabeth suggested that we celebrate my birthday with a breakfast picnic and bubbles at my bench in Berkeley Square. 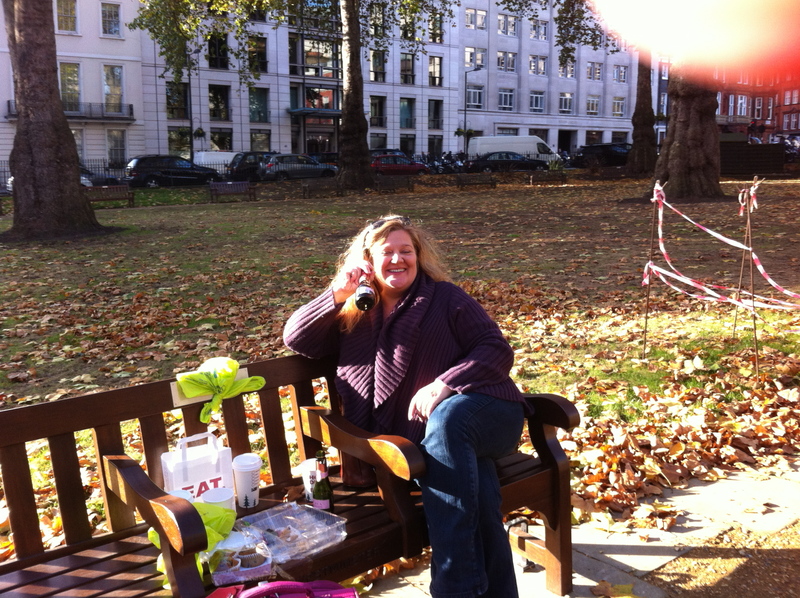 Loved it… so loving having my bench that I can share with so many friends. This entry was posted in Living and tagged Bench by AnnaGoAnna. Bookmark the permalink.